Now that the holidays are over and things are (hopefully) settling down a bit, I am in the mood to sew! I’ve seen tons of gorgeous dresses made with super soft floral knits at the mall, but I’m not a fan of the $60 price tags. Luckily, I found a brushed polyester spandex knit at an Etsy shop and I love it! 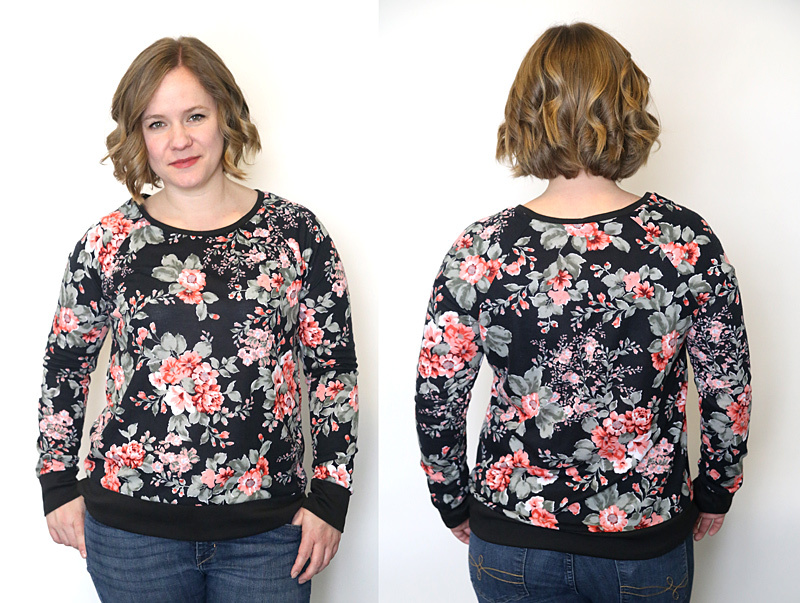 Great print, super soft, wonderful recovery, easy to sew with–I’m sold. 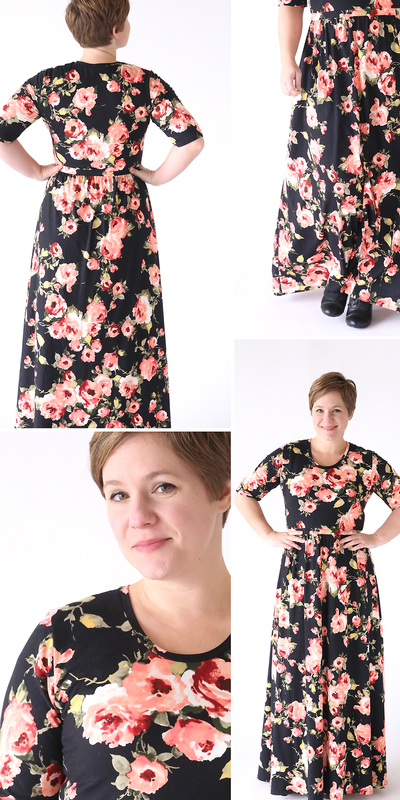 And at $6/yd, I can make three of these dresses for the price of one at the store. I ordered this fabric from Raspberry Creek Fabric on Etsy. The print I used is out of stock right now, but the store owner tells me she’ll be restocking a number of prints soon, hopefully within the next week. This post isn’t sponsored; I just really like this fabric shop. Super fast shipping, great customer service, and high quality fabric at a great price. The construction on this maxi dress is not too hard especially if you have made one of my Classic Tees before. In fact, I’d recommend making one of the tees first, especially if you are new to sewing. As for this dress, cutting out the pieces is definitely the most time consuming part, so don’t get intimidated. Tape the pages together without trimming or overlapping and cut out the pattern. 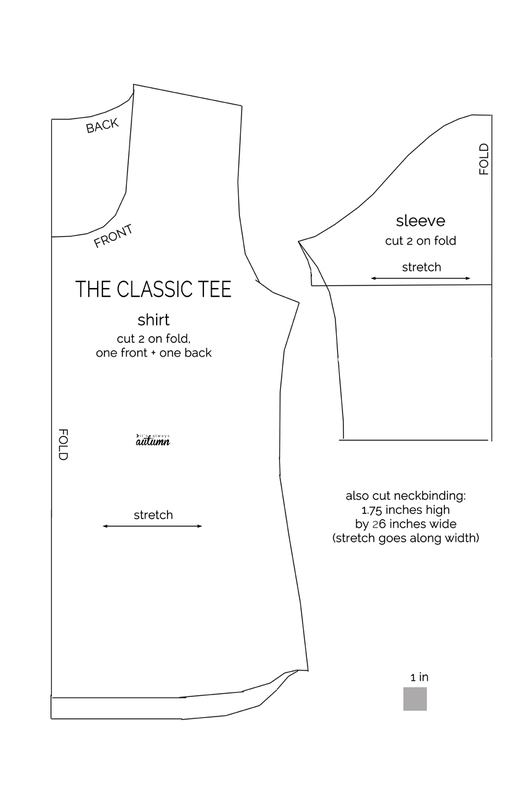 You need to make a few quick adjustments to the shirt pattern piece it to use it for the dress. First, cut off about 3/4 of an inch from the FOLD line to make it a bit more fitted. Next, cut the shirt pattern straight across about 16 inches down from the highest point of the pattern – right at the natural waist. That’s about 2 inches under the “it’s always autumn” logo. Cut out the sleeve pattern as is, using the elbow length. Ok, you are going to need at least 3 yards of 55-60 inch wide knit fabric. I managed to squeeze my dress out of 3 yards, but I’d really recommend 35. yards, especially if you are taller than me (I’m 5’3″). I used brushed polyester spandex knit fromRaspberry Creek Fabric for my dress. Be sure to pre-wash your fabric. 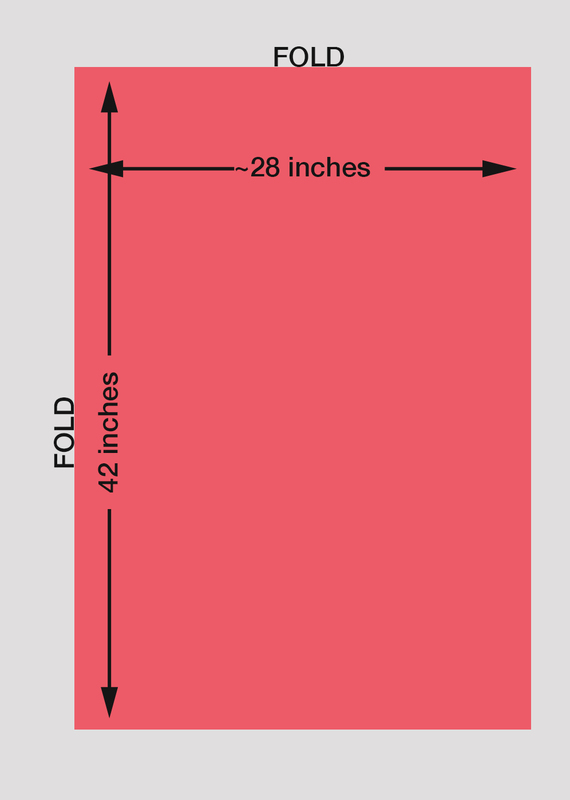 You will also need about a yard of 1.5 inch wide elastic. Ok, start with the shorter piece of fabric. 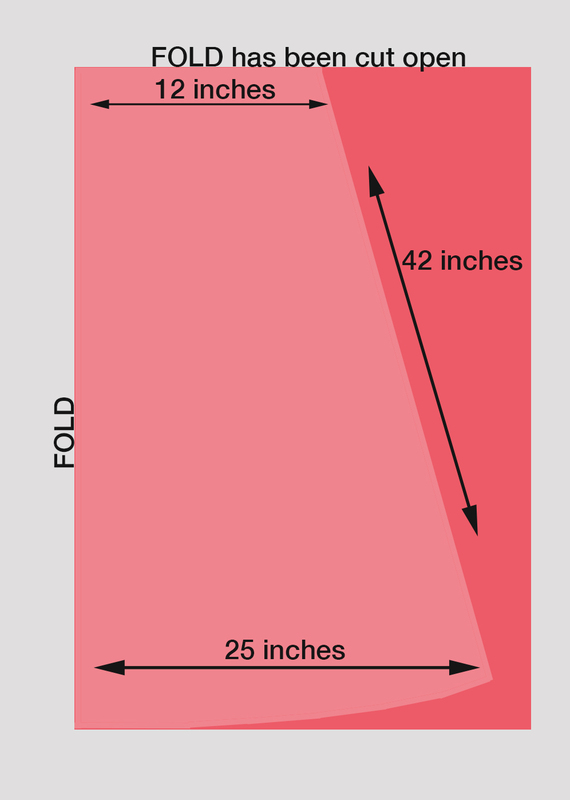 From this, you’ll cut out a shirt front and shirt back, as well as two sleeves, as you see in the graphic below. NOTE: if you are using only 3 yards you won’t be able to make the sleeves quite as long as the pattern shows. Ok, next we’ll move on to the larger piece of fabric. 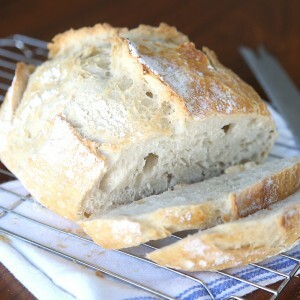 You’ll want to fold it in half widthwise, and then in half again lengthwise. That will give you 4 layers of fabric with a fold at the top and on one side. Cut through the fold at the top. The fabric will now measure about 28 inches wide and at least 42 inches long. Now cut out two skirt pieces as you see below. 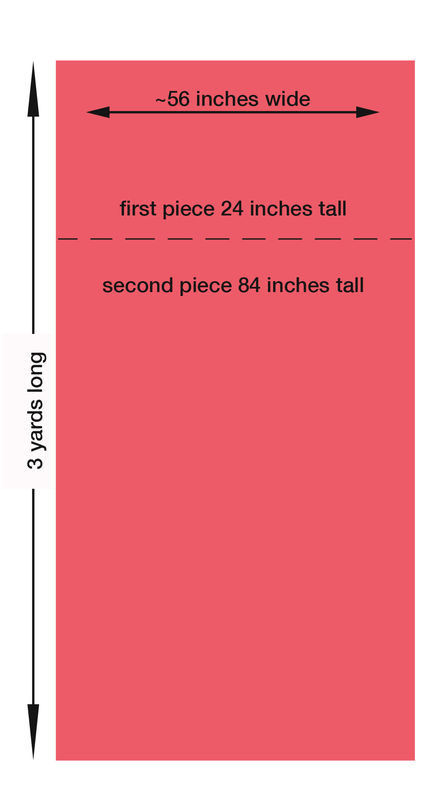 My skirt pieces are 42 inches long, but if you are tall you’ll want to increase that length. Ok, I promise that was the hardest part. 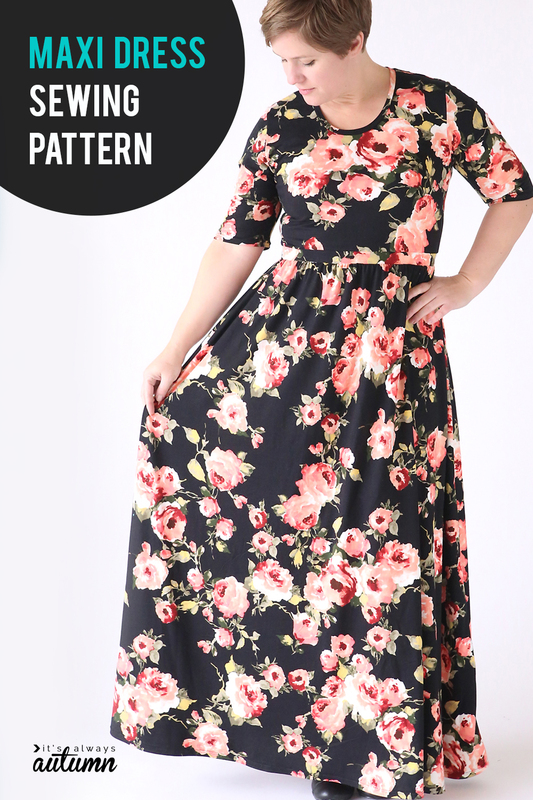 Once all your pieces are ready, this dress sews up pretty quickly! 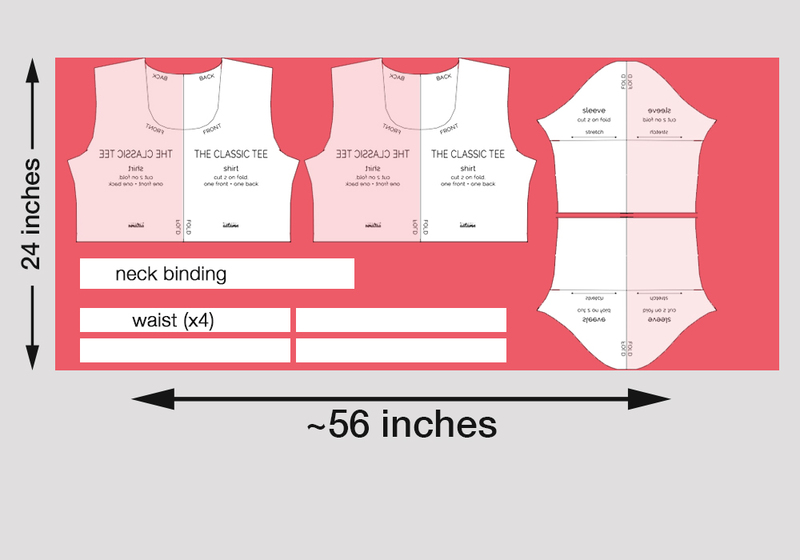 Now you can set the tee portion aside, and grab your waistband pieces and 1.5 inch wide elastic. 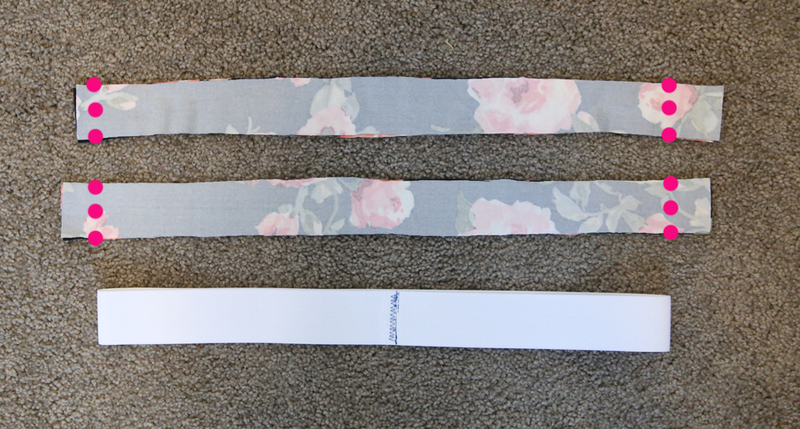 Cut the elastic to your waist measurement and then sew the ends of the elastic together and try it on. 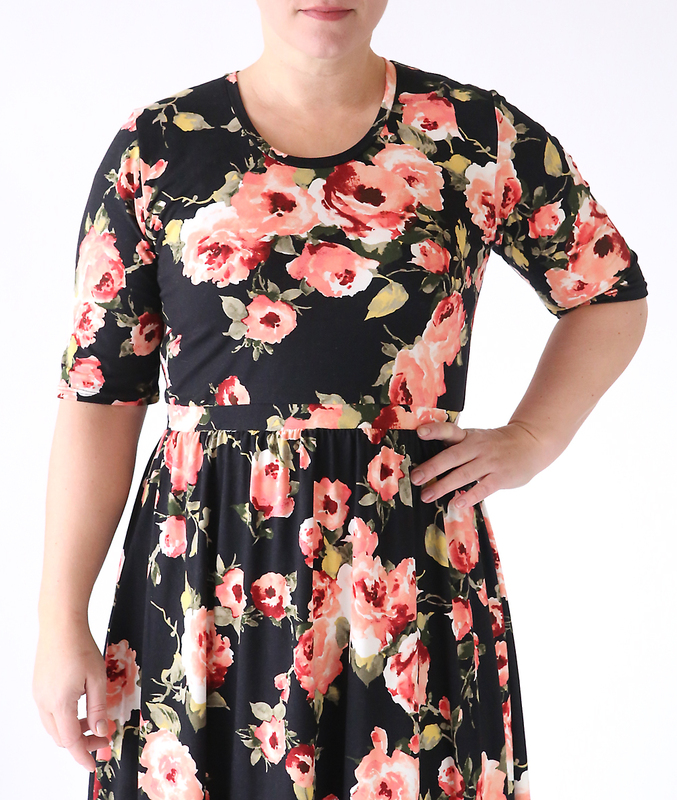 It should be fairly snug around your natural waist so it’s tight enough to hold up the skirt, but not uncomfortable. You have four waistband pieces. 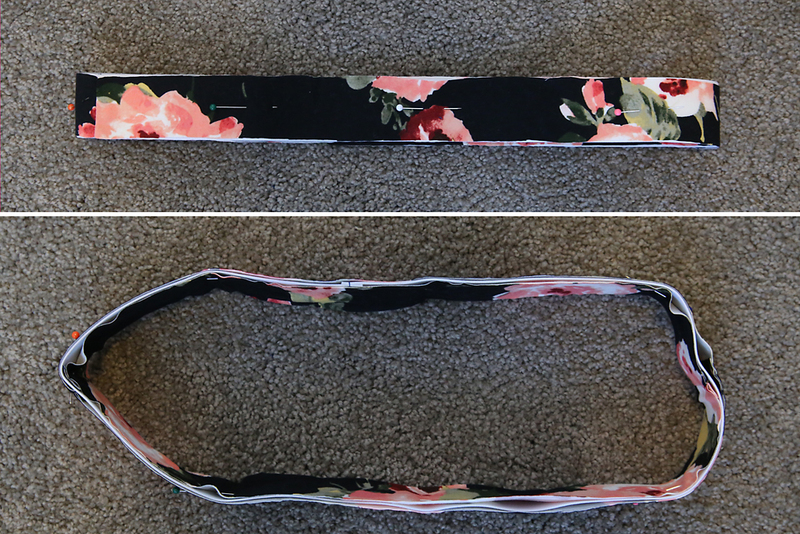 Place two right sides together and sew together the short ends to make a loop the same size as the elastic. Repeat with the other two pieces. Place one knit waistband loop inside the elastic; place the other one outside the elastic. Pin all three layers together. Now grab your skirt pieces. Place the right sides together and sew down the sides. Use pins to divide the waistband into 8 equal sections. Use pins to divide the top of the skirt into 8 equal sections. Turn the skirt right side out, and place the waistband over the top of the skirt. Match up the pins and pin the waistband to the skirt. 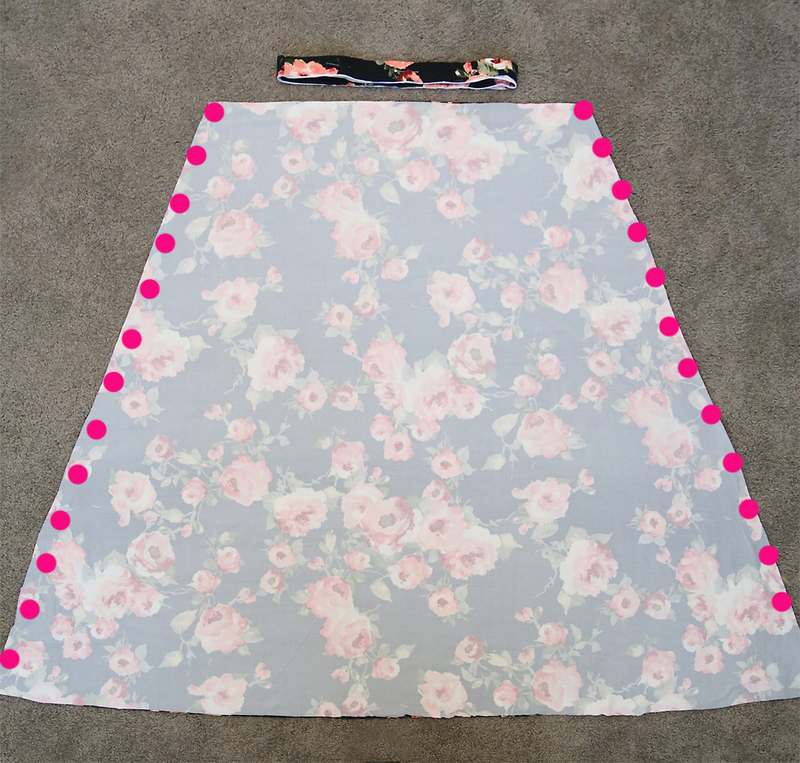 Since the top of the skirt is wider than the waistband, it will be all bunched up. 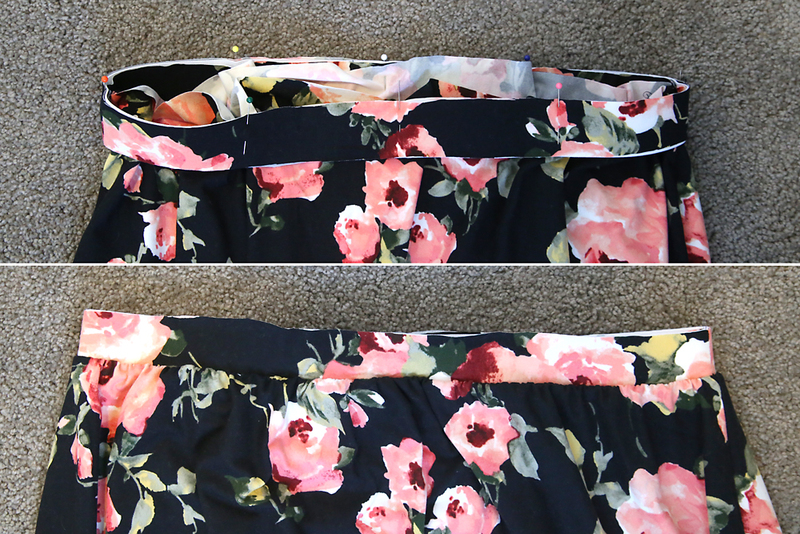 As you sew the waistband onto the skirt, stretch it until the skirt piece lies flat. Sew the waistband and skirt together with a stitch that will stretch: I used a serger stitch, but you can also use a zigzag or stretch stitch. Sew close to the edge, using 1/4 inch seam allowance. 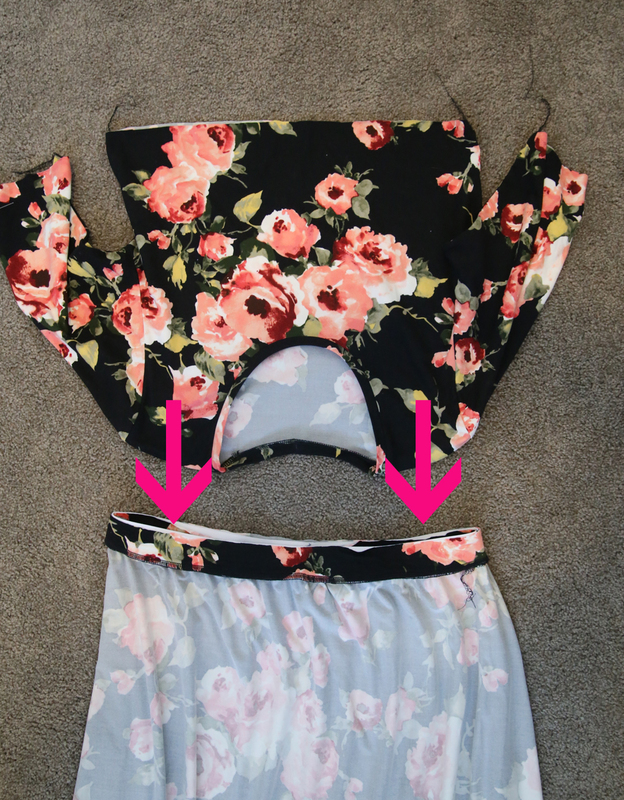 Flip the waistband up, and the skirt will look like the 2nd photo above. Trim the tee piece if needed so it is 1/4 inch longer than where you pinned. 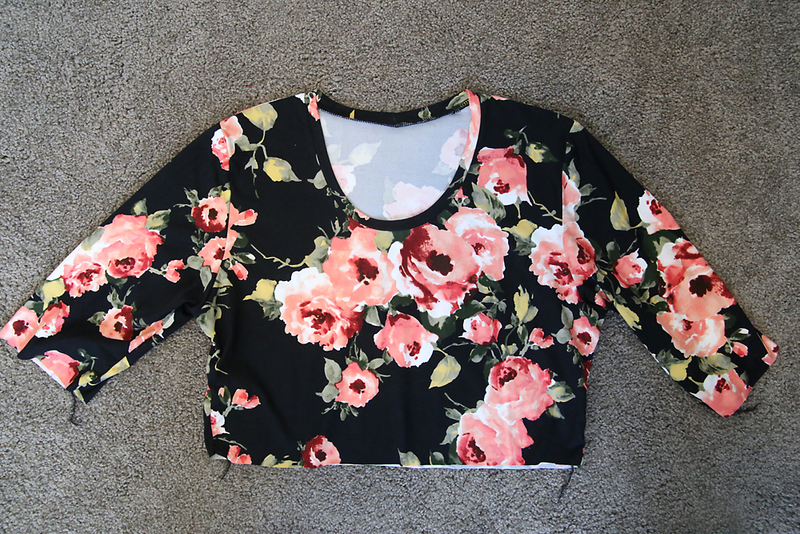 Now you’ll attach the tee to the waistband. Turn the tee right side out and the skirt inside out. Mark each in 8 places, just like you did when attaching the skirt to the waistband. Slide the tee inside the skirt and match up the raw edge with the raw edge of the waistband. Pin together and sew, pulling the waistband until the tee lies flat under the presser foot. Again use a stitch that will stretch and 1/4 inch seam allowance. Before hemming the bottom, it’s a good idea to put the dress on and have someone else use pins to mark where the skirt hits the ground. Then you can use the pins as a guide to get an even floor length hem. 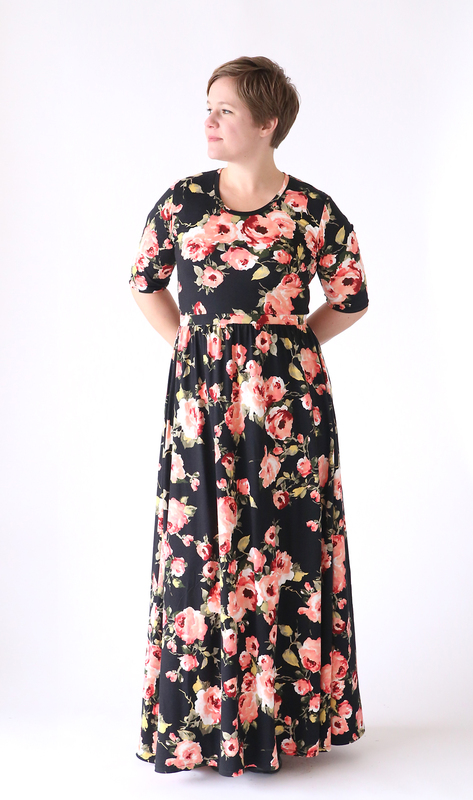 For a dress that I’ll wear with flats or sandals I usually hem an inch shorter than floor length. 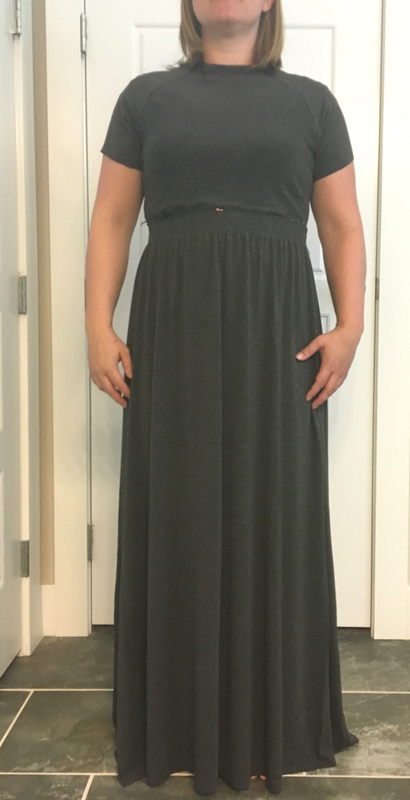 For this dress, which I will wear with heels, I hemmed half an inch longer than floor length (I would have gone a smidge longer if I’d had more fabric!). I always use a double needle to hem knits. 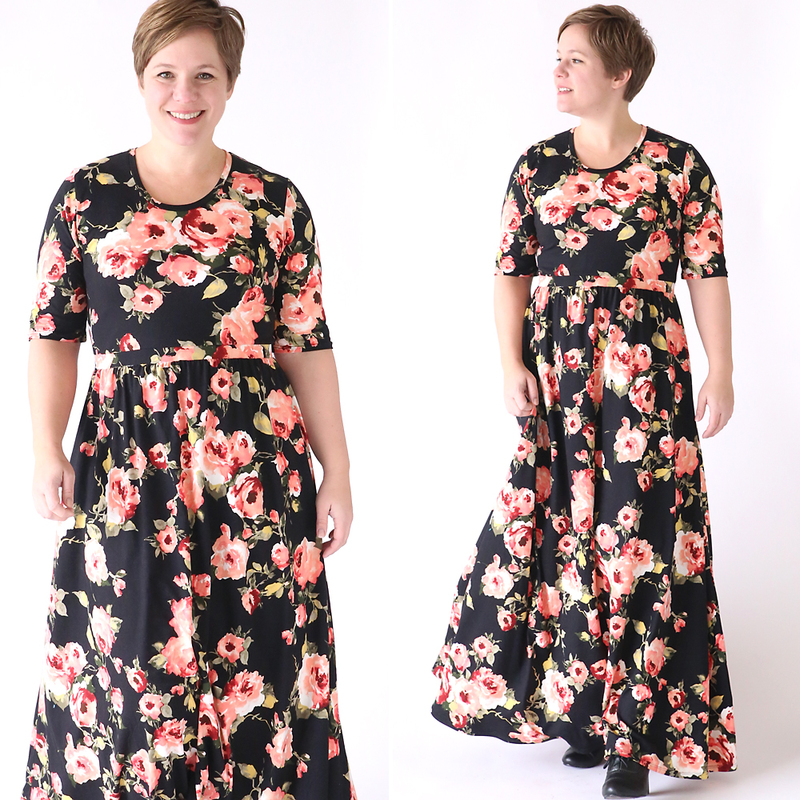 Once the hem is complete, your new maxi dress is done! This dress is adorable on you. Your haircut is cute as well. 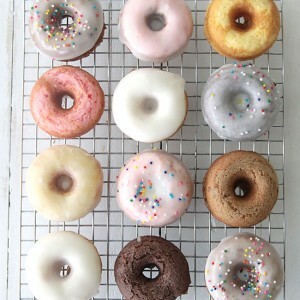 I’ve been following your pattern posts for awhile now (found them on Pinterest, then just lurked here!). 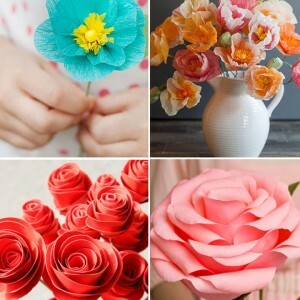 I love your simple style, and your easy-to-follow patterns! They (and you) are awesome! great pattern, I will be trying this after I try the tee. I am trying it next week – Hope it turns out as cute as yours. you look amazing! definitely going to try this….btw you are seriously channelling Adele in the “send my love” video! I love your tutorials. I’m easily confused and they speak to me! I’m also really glad you shared the Etsy shop, it’s now favorites. My closest place to buy fabric is an hour away and I’m nervous about buying online and not getting quality, or really just not what I was thinking. (I snagged some of that same fabric and love it, so soft) do you know of a fabric that is heavier weight and slinky for a maxi skirt (similar to lularoe’s maxi material) ? Oh, also, do you sell samples of the knit fabrics you so nicely described in your blog? It would be so helpful to be able to actually feel them. You might make the suggestion to measure one’s back length before making the cuts. I happen to be long waisted even tho I am only 5′ 1.5″ tall. As this dress is, the waistline would hit me about 1.5 to 2″ ABOVE my natural waistline. Just sayin’…..
You might make the suggestion to have back neck to waist measurement taken before making the cuts. As stated, this would hit me a full 1.5 to 2″ ABOVE my waistlline. Even tho I am short (5′ 1.5″), I am long waisted…just sayin’….. When I add elastic to anything wider I fold each circle and put a pin on fold. Then half it and pin each side of the new fold. Repeat. So you have 8 pins at equal distance. You can then match each pin and join it to it’s mate. Waist band to skirt. This way you have only short distances to stretch elastic to full skirt width. Hope this makes sense. Can I use liverpool on this dress? I love this dress, but i do not see anything relating to the skirt. 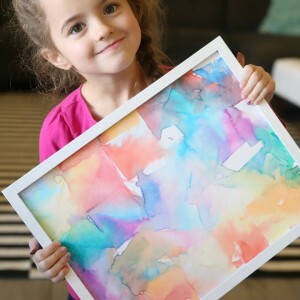 Your patterns look awesome and simple enough that I feel confident that I could make one! I’m so excited! Thanks so much for making these free and available to anyone! It’s nice to find modest dress patterns. 🙂 I have one question. If I want to make the sleeves a little shorter than elbow length, like long enough that it hits halfway between my shoulder and my elbow, how do I make that adjustment to the pattern? It’s probably as simple as taking a few inches off, but I thought I’d ask because I don’t want to mess it up. 🙂 Thanks!